Audrey boyfriend's spy identity has been revealed while he was suddenly murdered. To finnish his final mission, he gave to Audrey a statuette, which has to be delivered to Europe. Audrey has no experience with the secret sevices, but tries to accoplish the missoion with her friend Morgan. Their naivity and the lack of an experince and skills will finally cause more problems to the criminals. Girls do not know whom to trust and also do not understand why is the statuette so important for everybody. 25.1.2019 Banatova inserted filming location On the bike of the Movie The Spy Who Dumped Me. 25.1.2019 Banatova inserted filming location In the city of the Movie The Spy Who Dumped Me. 25.1.2019 Banatova inserted filming location Berlin of the Movie The Spy Who Dumped Me. 25.1.2019 Banatova inserted filming location Railway station of the Movie The Spy Who Dumped Me. 25.1.2019 Banatova inserted filming location Square of the Movie The Spy Who Dumped Me. 25.1.2019 Banatova inserted filming location Car chase 3 of the Movie The Spy Who Dumped Me. 25.1.2019 Banatova inserted filming location In the streets of the Movie The Spy Who Dumped Me. 25.1.2019 Banatova inserted filming location Car chase 2 of the Movie The Spy Who Dumped Me. 25.1.2019 Banatova inserted filming location Car chase 1 of the Movie The Spy Who Dumped Me. 25.1.2019 Banatova inserted filming location In a cafe of the Movie The Spy Who Dumped Me. 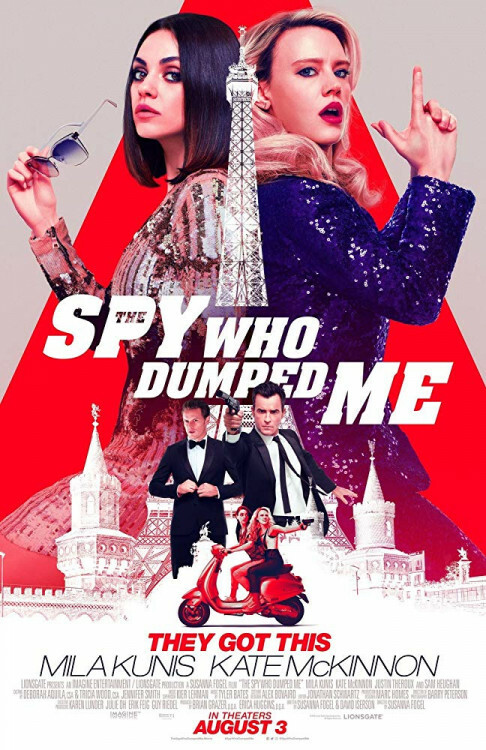 25.1.2019 Banatova inserted filming location Europe of the Movie The Spy Who Dumped Me. 25.1.2019 Banatova inserted filming location In the street of the Movie The Spy Who Dumped Me. 25.1.2019 Banatova inserted filming location Accommodation of the Movie The Spy Who Dumped Me. 25.1.2019 Banatova inserted filming location Shelter of the Movie The Spy Who Dumped Me. 25.1.2019 Banatova inserted filming location Traffic circle of the Movie The Spy Who Dumped Me. 25.1.2019 Banatova inserted filming location Library of the Movie The Spy Who Dumped Me. 25.1.2019 Banatova inserted filming location Church of the Movie The Spy Who Dumped Me. 25.1.2019 Banatova inserted filming location Airport of the Movie The Spy Who Dumped Me. 25.1.2019 Banatova inserted filming location Railway bridge of the Movie The Spy Who Dumped Me. 25.1.2019 Banatova inserted filming location Underpass of the Movie The Spy Who Dumped Me.